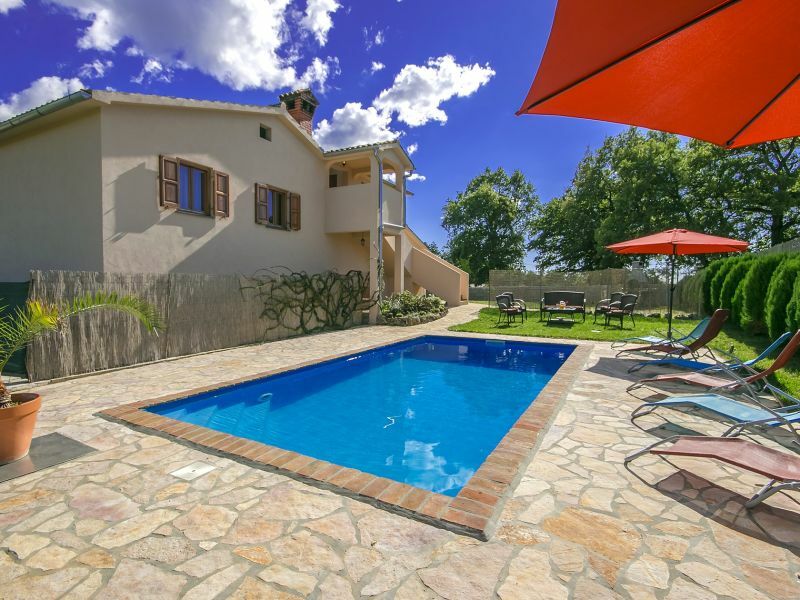 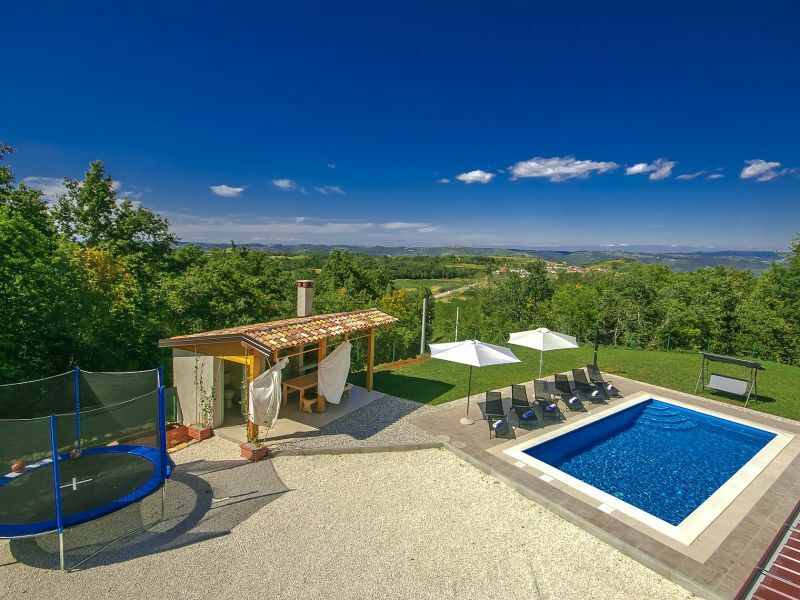 Villa Rovine is a cosy little villa immersed in the open countryside full of vineyards, olive groves and green woods with Istrian oaks and pine trees. 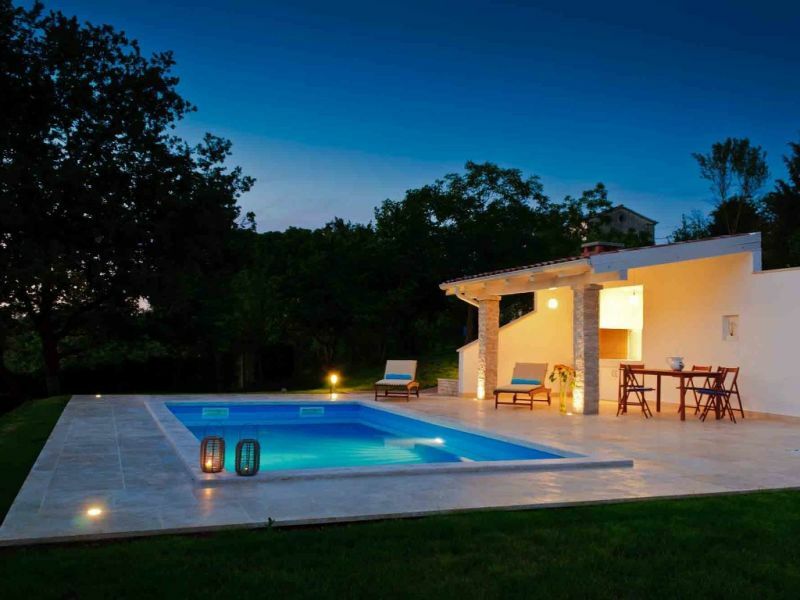 Holiday house for max 6, with pool and kids playground, in rural village surroundings. 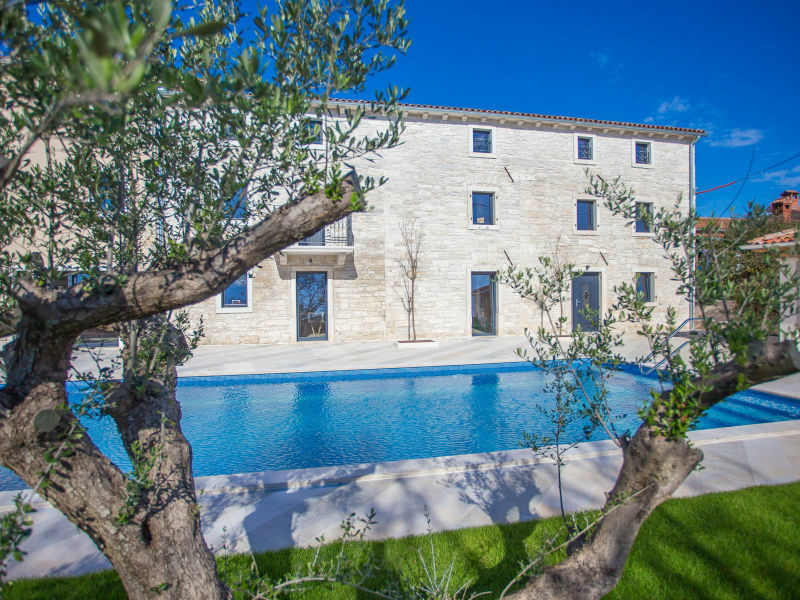 Visit luxury and newly built villa Salambati in a village of the same name with pool and jacuzzi, and spend an unforgettable holiday in Istria! 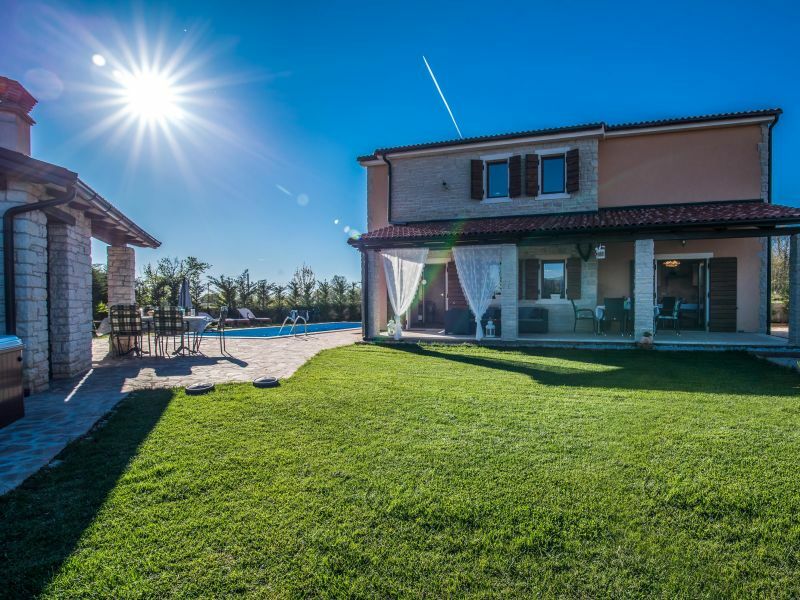 Beautiful holiday home with swimming pool on the outskirts of the village Crklada, close to the picturesque town Vizinada. 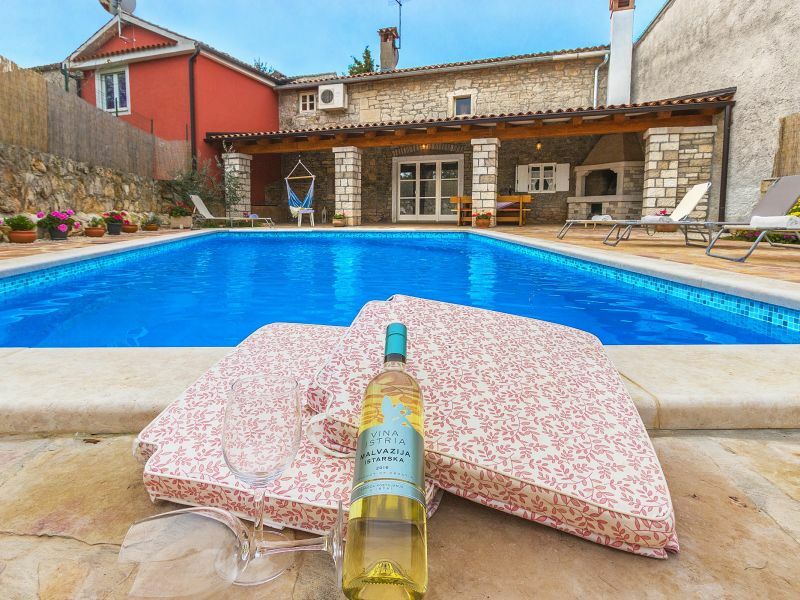 Renovated villa for 18 persons with large private pool and sauna in Kringa near Tinjan and Sveti Lovreč.